Statistics Show That More And More Women Are Making Alimony Payments Each Year: How Will This Be Affected by Existing Prenuptial Agreements and The New Tax Law? Recent statistics on alimony payments have lit up news headlines: these statistics indicate that more and more women are paying alimony and child support each year (as more women become the breadwinners while still in their marriages). This trend is in stark contrast to the past, whereby, in 1960, just 11 percent of households with children had mothers who were the breadwinners. That jumped to 40 percent by 2013, and by 2016, more than 30 percent of single dads with custody were receiving spousal support. However, some couples previously addressed the issue of alimony and/or child support payments in their prenuptial agreements, attempting to preempt any change in employment/salaries that could occur between a couple (and thus making it irrelevant that a woman might end up as the breadwinner in the marriage). In fact, like women making alimony payments, the popularity of entering into prenuptial agreements only appears to be on the rise each year. Still, given the recent tax law change, this could affect even ‘bulletproof’ prenuptial agreements. While some prenuptial agreements may have included that one spouse provide the other with a lump sum each month for a specified number of years/time, others put forth a formula for calculating these payments, such as basing them on a percentage of the payer’s income. Child support also tends to be calculated in tandem with alimony. The new tax overhaul could end up affecting what was entailed in these agreements, as courts will now have to consider how the law has changed since the prenuptial contracts were created, and the new tax law mandates that, as of 2019, alimony payments will no longer be tax-deductible. For couples in the top tax bracket, this could effectively mean that they end up paying double in post-tax costs compared to what they originally agreed to in their prenuptial agreements. While many couples might rush to adjust their prenuptial agreements as a result of this, this is an option that should be approached with caution, as it could open up a “huge can of worms” for happily-married couples. Due to the new tax law, it will be up to divorce attorneys and/or judges to settle or decide whether the amounts or formulas still stand for couples divorcing starting in 2019. 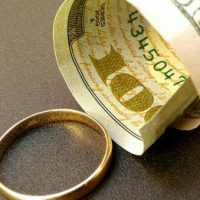 Regardless, one thing is certain: the inability to deduct alimony payments from one’s taxes will likely lead to more painful, acrimonious situations between divorcing couples (on top of what already can be a difficult issue to deal with—divorce itself). Contact our experienced Florida family law attorneys at the Arwani Law Firm today to find out more. We are eager to assist you throughout each step of your case.